Slogan tees, bargains and expression? Yes please! I was contacted by Five Pound Tee for a Lookbook collaboration (another outfit on the way~ ^.<). Five Pound Tee is a e-tailer based in London, UK. The tees are exactly what the brand states; t-shirts for £5, such a killer! The quality of the shirts are pretty good for the price, I personally think it's just as good as some of my pricey ones. I adore their motto "Live to express, not to impress" as I believe that is what style is about, a form of expression. 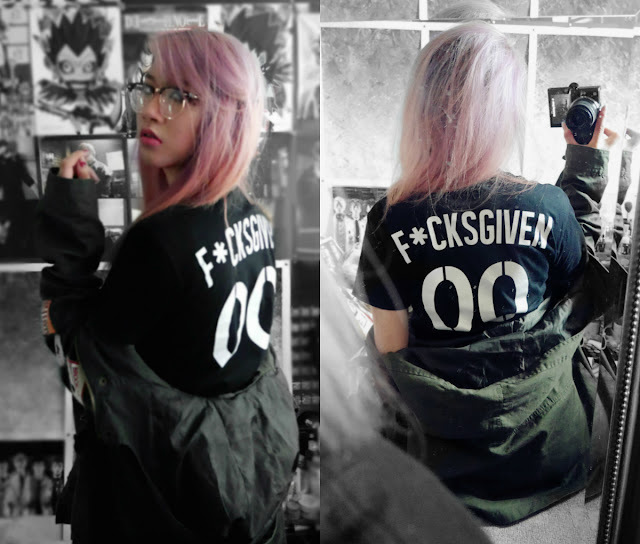 The shirt I picked out 00 F*CKS GIVEN does that really well, a simple design yet conveys the message well. I threw on a khaki green army coat to add some colour to the overall outfit and to keep warm from the chills~ When there is more warmth, this shirt would look awesome paired with a houndstooth A line skirt. Such an amazing tee. Check out my new post! Nice outfit! I would totally wear it and I like the simplicity of the shirt!! 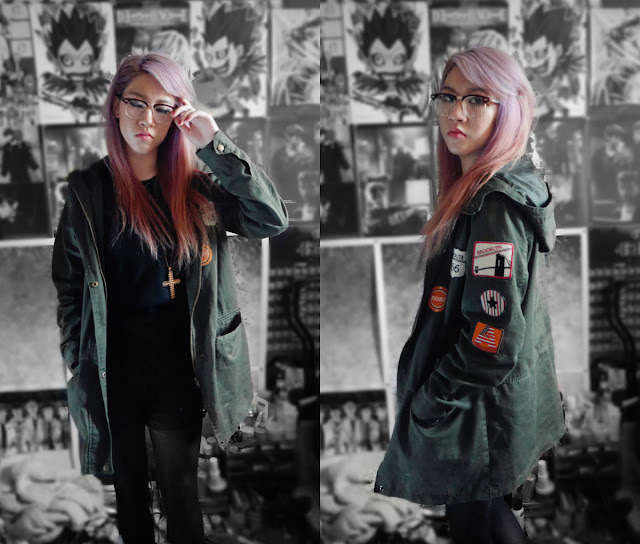 Stumbled across your blog - and I friggin love your hair! the shirt is awesome and a bargain too! love. it.